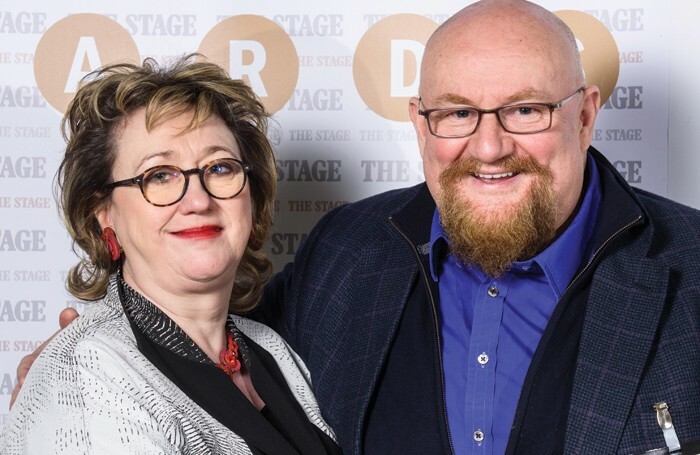 Producers Howard Panter and Rosemary Squire, founders and former joint chief executives of Ambassador Theatre Group, recently announced plans for Trafalgar Studios, which they acquired after stepping down from ATG. Our new vision is a much improved experience for our customers. We want to enhance the experience from the moment you walk in the door so that it’s a place where you want to hang out – there’ll be great stuff happening on stage and also a space to meet friends. People will want to be there, rather than just go there to see whatever’s on. That’s the difference. You may wonder why ATG, which offered an ever-increasing parade of eye-watering charges to customers and producers, never prioritised that experience under its watch, but the truth is that theatres, by and large, don’t need to. When we go to the theatre, we generally choose the show more than the venue it is playing at. We have no choice of where to see a show, except when it is touring. Unlike a blockbuster movie, for which you can choose between seeing it at an Odeon or an Everyman (and therefore between a venue offering cola or craft beer, popcorn or luxury snacks), there is only one place to catch Andrew Scott’s Hamlet or Half a Sixpence, for instance. Yet the theatre itself is an integral part of the viewing experience, from seat comfort to sight lines, warm welcome to fond farewell. I recently attended a performance at Chelsea’s Cadogan Hall that was all but ruined by a particularly aggressive front-of-house staff member, who barked at audience members to vacate the box office area on the way in, and aggressively tried to clear the room on the way out. That’s obviously a relatively simple matter of an overzealous member of staff, but it illustrates that, no matter how good a show is, it is the customer experience that the theatre owns and wants to monetise. The economics of the West End are heavily weighted towards theatre owners. The big profit centres are the buildings and the ticketing – which is why private equity has invested in both. Overall in the West End, where the money goes is opaque. We have no idea – or any accountability – of where the restoration charges compulsorily levied on every ticket sold in the West End go. Nor any justification for the ubiquitous service charges levied, either. Nick Hytner, who will soon be opening his new Bridge Theatre beside Tower Bridge, has committed to more transparency. He said: “We wanted not to be charging people additional fees on top of what it costs to buy a ticket, because it does seem a bit bizarre – 95% of that ticketing stuff is pure profit. It doesn’t cost £1 to print a ticket. So a philosophical and physical shift needs to take place where the theatres are not turned into cash cows to be endlessly milked for profit, but become places where the customer’s convenience and pleasure are prioritised. Being sold an interval ice-cream for £2.50 instead of £4.50 would be a simple way to demonstrate it. But perhaps an even bigger and more important one would be for Trafalgar Studios to be properly reseated – instead of crushing the audience into armless chairs, giving them room to breathe. Comfortable seats in the theatre are not an impossibility: just recently I visited the newly refurbished Hudson Theatre in New York – an ATG acquisition – and found the best seats I’ve yet sat in on Broadway.